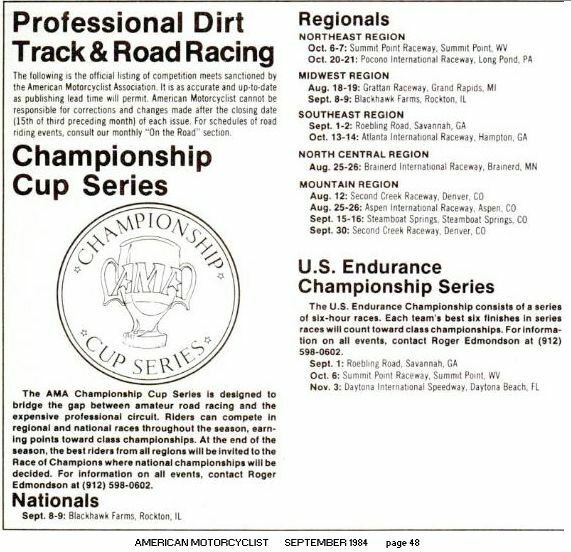 The AMA Championship Cup Series is designed to bridge the gap between amateur road racing and the expensive professional circuit. 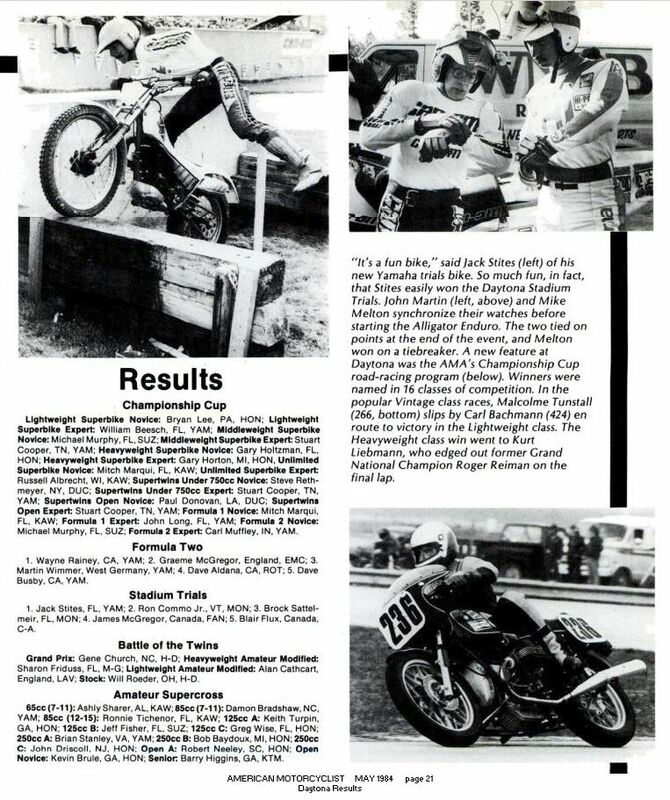 Riders can compete in regional and national races throughout the season, earning points toward class championships. 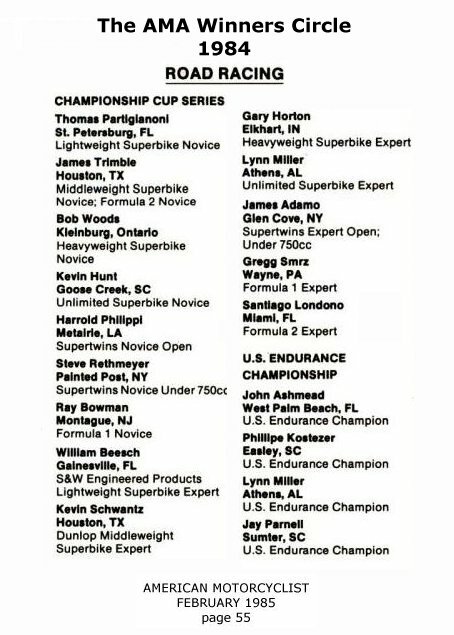 At the end of the season, the best riders from all regions will be invited to the Race of Champions where national championships will be decided. The U.S. Endurance Championship consists of a series of six-hour races. Each team's best six finishes in series races will count toward class championships. Results for this year have not been found. If you have any results records, please contact us.